Do you work on large-scale product development involving multiple teams, stakeholders, and geographies? If yes, you might be well familiar with the challenges such as dependencies, local optimization, functional silos, communication gaps, rapid changes, increased risk, etc. Large-scale brings in additional complexity, non-linear behavior, and risk to the product development. 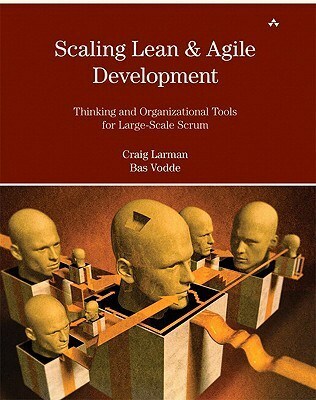 Large-Scale Scrum (LeSS) is a framework for scaling agile product development to multiple teams. LeSS builds on top of the Scrum principles such as empiricism, cross-functional self-managing teams and provides a framework for applying that at scale. It provides simple structural rules, guides, and experiments on how to adopt Scrum in the large-scale product development environment. Interested to know how LeSS framework helps de-scale your organizational complexity, simplify how value is created within your organization at large-scale? Continue reading…. This Large-Scale Scrum (LeSS) workshop is focused on being Agile while developing products at large scale. The workshop covers the LeSS principles, framework, rules, and guides. It provides essential information for adopting LeSS to your product development group and benefiting from it. The training contains an overview of LeSS framework, Lean Principles applied at scale, exercises in scaling, LeSS adoption case studies, and essential LeSS focused Q&A to ensure that we discuss the topics that are of most interest to the participants. This is a two day workshop. On the first day the focus is on the LeSS Framework Overview, the LeSS Principles, product definition, roles and organizing value around feature teams. The second day focuses on managing the product development with extended Definition of Done, multi-team co-ordination, organizational design aspects and techniques to effectively adopt LeSS. Anyone working in large-scale product development environment. If you are responsible for leading organization, business unit, group, and/or large scale product development, you can gain practical insights from this workshop. Attendees will also get 24 (for 3-day workshop) / 16 (for 2-day workshop) SEUs / PDUs towards CSP/CTC. Schedule 2 x one hour personalized coaching call with Kamlesh with a focus on helping you implement LeSS – At no cost to you. Kamlesh is an experienced Agile/LeSS coach and Trainer. Kamlesh brings 20+ years of vast industry experience to help leaders and teams with organizational design, leadership coaching, large-scale product development, enterprise business agility, cultural transformation. While working in the USA, Kamlesh was involved with two Large-Scale Product development, LeSS-like adoptions. Kamlesh brings a hands-on and sustainable approach to building long-term capability within the organization through customer-centric product development, optimizing value flow, reducing waste and building high-performance teams. Basic Scrum knowledge is expected and can be achieved by attending a Scrum Alliance Certified ScrumMaster or Scrum.org Professional ScrumMaster course. Thorough knowledge of Scrum Guides, or Scrum Primer and practicing Scrum is essential. The workshop instructor – Kamlesh Ravlani, strongly recommends that the participants go through a basic two day Scrum training before registering for this class. Upon successful registration, we send you pre-workshop reading content. Would you like to receive some free reading content?